The dark paths of poetry interweaves the basis of thier music. Obscurcis Romancia assaults listeners ears with their distinctive and powerful concoction of furious blast beats, vehement vocals, aggressive yet melodious riffs and leads, and fiendishly wicked atmospheres juxtaposed against a harmonious piano backdrop. Through Shakespeare and Molière languages, the melancolia of existance is delivred with extreme pain, sadness and sorrow. Mixing the brutality of the realm of extreme metal with the era of classical music, Obscurcis Romancia forged their proper style of melodic black metal. The formation upraised in Montreal during the dark year of 1999. Their first Demo “Le Règne du Seigneur de Perdition” has been release into Québec’s northern land during the year 2001. In December 2001, they found anew axmen in Stephane to complete the line-up. From their very debut to year 2002, many shows occurred with many formations like Neuraxis, Blinded by Faith, Unexpect, Augury, Despised Icon and many others. These shows forged their reputation of being energic, powerful and aggressive live performers. 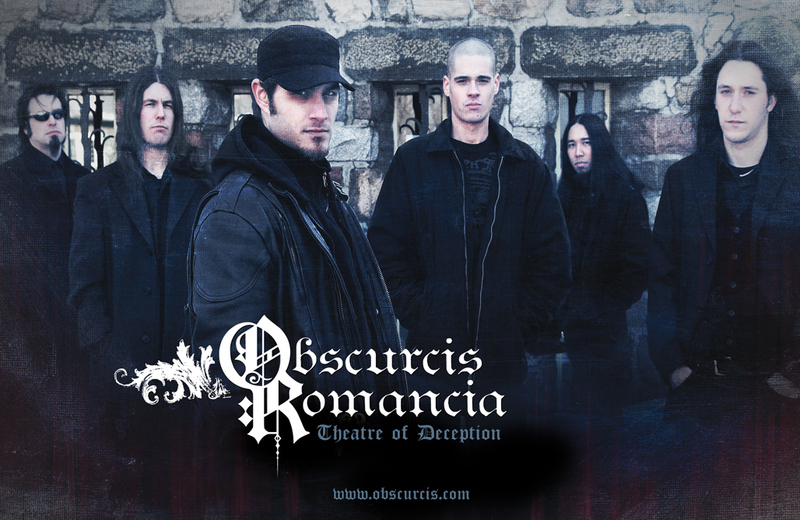 During summer 2002, Obscurcis recorded their first album and signed a distribution deal with Galy Records. In 2003, Obscurcis Romancia released their first and eponym album through the vast horizon of North America. Composition is under process and the new one will arrive very soon! !